Munnariyippu malayalam movie which will be directed by cameraman Venu did start rolling at Kozhikode from 5th March 2014. The movie to be produced by Ranjith under the banner Gold Coin Motion Pictures will have a huge star cast with Mammootty and Aparna Gopinath playing the lead. 'Munnariyippu' which is themed around an interesting story would keep the audience intact. Read more about the movie. Mega star Mammootty is having a tight packed year with a number of projects in kitty with the actor shuttles from location to location. 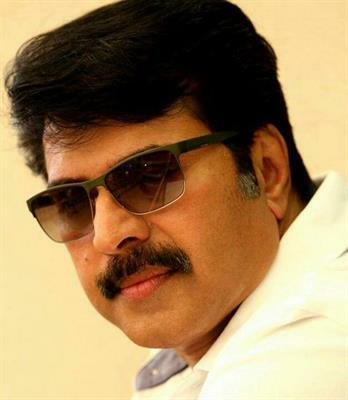 Looking forward for the release of his upcoming movie 'Praise The Lord', Mammootty is all set to join the sets of his next film to be directed by cinematographer turned director Venu. Titled 'Munnaripyippu', this movie will be creamed with an interesting story which would keep the audience intact. With 'Praise the Lord' slated to get released on 21st March, 'Gangster' one of the most anticipated movie of the year will reach theatres in April as summer treat. Venu has worked behind the screen as cameraman for more than 80 movies moving his camera for Padmarajan and Bharathan. The ace cinematographer has already proved his mettle as a filmmaker too with his debutant feature film 'Daya' which had Manju Warrier in lead. The movie was much enough for the veteran film passionate who even received Kerala government's award for best debutant director. Scripted by Unni R, this upcoming flick will have Aparna Gopinath playing an important character who would appear as a journalist. She will be seen in the role of a reputed journalist who wishes to write a biography of the character played Mammotty. He is a convict who gets released from the jail on completion of the jail term. Prathap Pothan, Nedumudi Venu, Joy Mathew, and Sasi Kumar will also give life to other prominent characters in the movie. Ranjith who has produced a couple of movies earlier will cash for 'Munnariyippu' under his own production company. Meanwhile the film maker is currently busy with the pre production works of his next project which wil have Dulquer Salmaan in lead. According to reports, his upcoming movie will have three heroines including a couple of new faces. Ranjith who already had made his own space in the industry wishes to bring back his days with his upcoming ventures.